MAC URISA is a volunteer organization with a longstanding reputation for providing quality educational programs to the GIS community. We hope that this website will enhance our ability to communicate effectively with you, our members, and increase involvement in our programs. 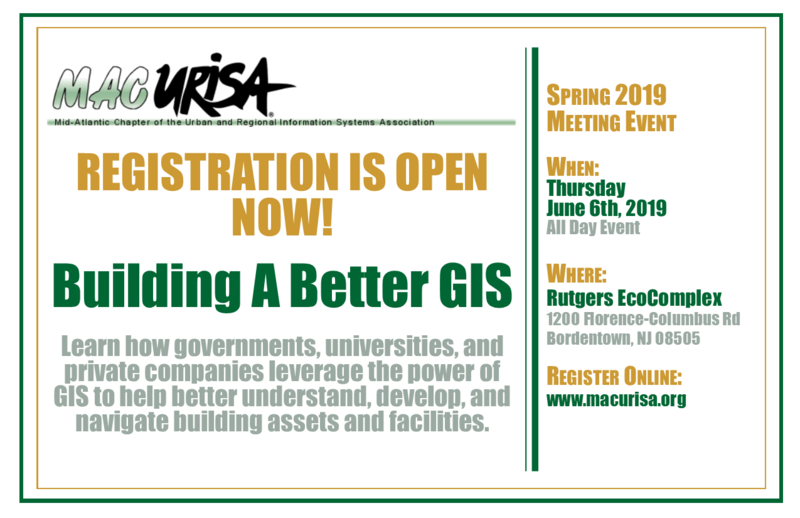 Become a member to get the latest MAC URISA news! New members, create an account with us on the left. Existing members, please login on the left with your email address and password. For additional information and questions, e-mail us at info@macurisa.org. Send your comments and ideas to feedback@macurisa.org. Please add macurisa@wildapricot.org to your safe-sender list to ensure delivery of email announcements.